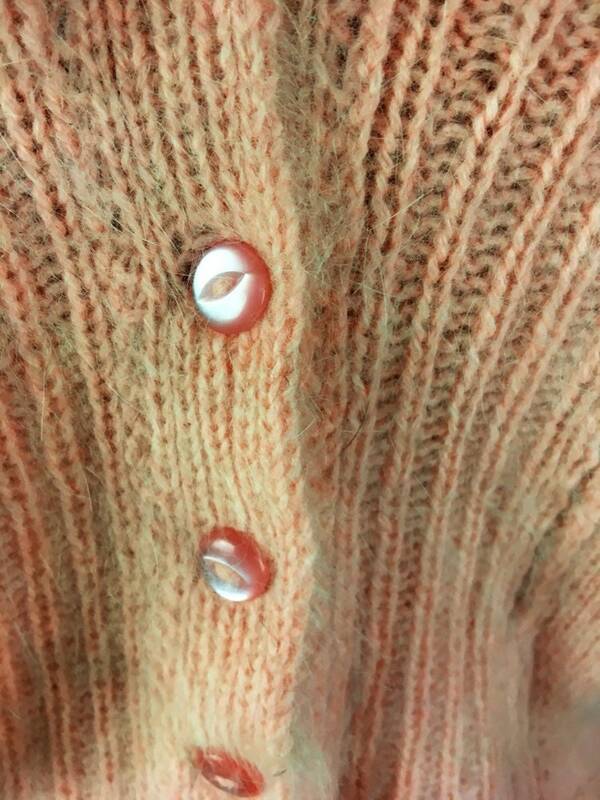 I am guessing the era based on the condition and the buttons. It could be 1950s but it’s in such great condition I am thinking 60s. 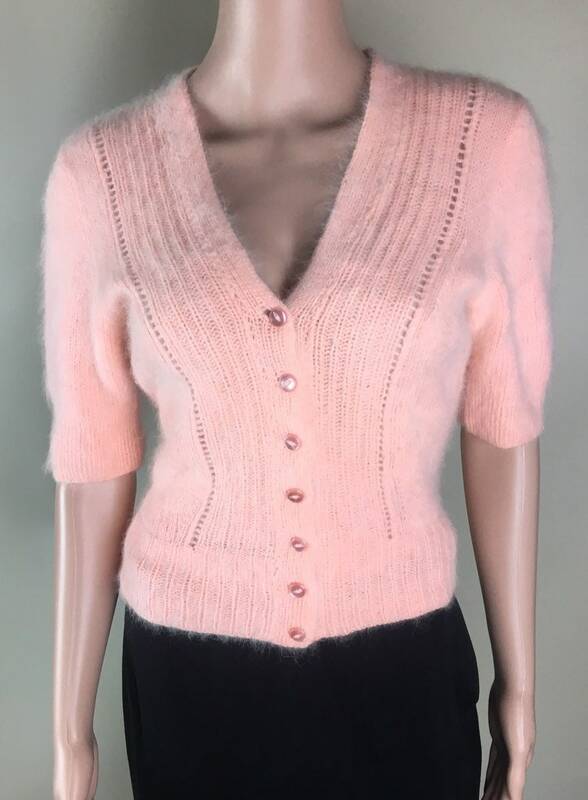 There are 7 pink lucite buttons on the front. 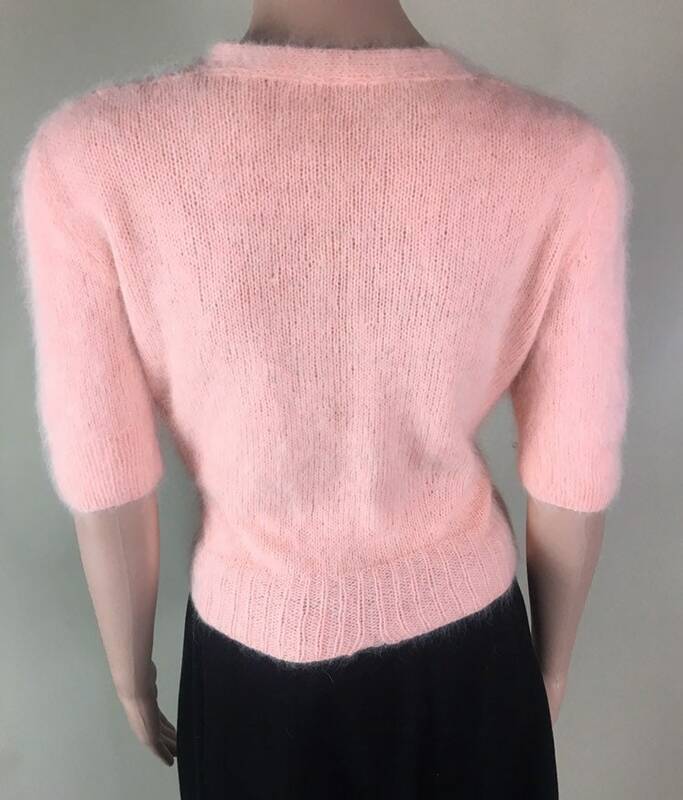 The sweater has a v cut on the front and has a gathered waist. 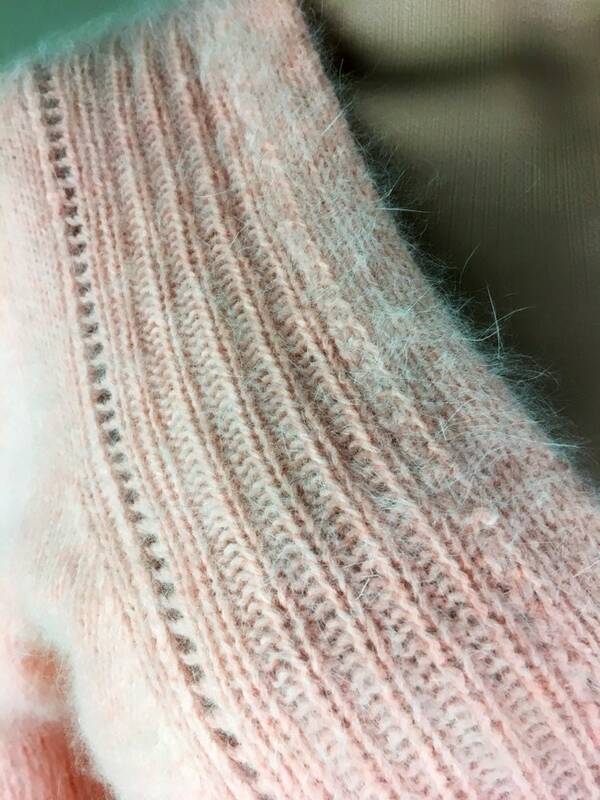 It is a very soft non-scratchy sweater!! !